Be more productive with these four product updates from Usersnap! We hope you had an amazing holiday season and you’re ready to rock 2015! The entire Usersnap team was working hard on shipping some awesome new updates. Be more productive with these 4 awesome updates from Usersnap. As mentioned in this blogpost, the new dashboard search is one of the biggest feature since launching Usersnap. Website testing and bug reporting can become quite messy if a lot of people with different backgrounds are working on a web project. And of course your bug tracker gets filled up pretty soon. Accessing certain information (such as “Who created that bug report with that change request for?”) end up being a real challenge. 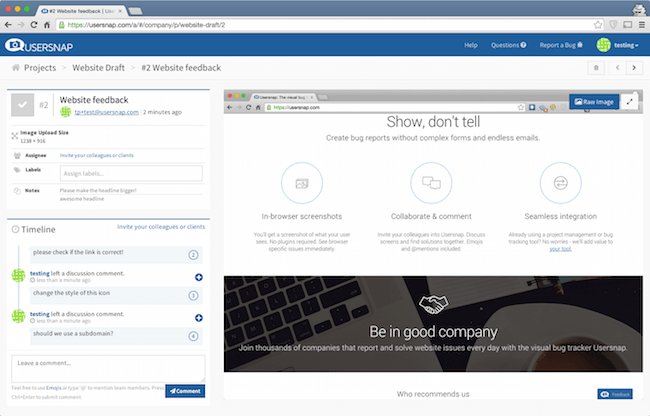 With the new Usersnap search you’ll be able to master your bug reports and website feedback, again. Since the release of the new search a lot of our users already enjoyed this new way of finding their bug reports. 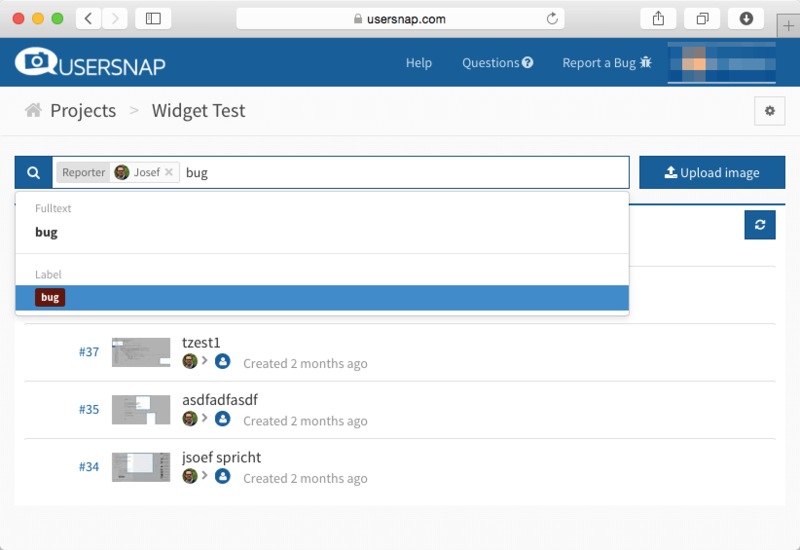 If you want to learn more about the dashboard search and its great features, check out our last blogpost or take the Usersnap dashboard tour. Besides the new dashboard search, we also added some minor UI changes and improvements. Since we noticed that people are using Usersnap for all different use cases, it can be pretty hard accessing the information you need for your own workflow and use case. Install widget: add the Usersnap widget to your website by implementing the snippet code to your website or adding the Usersnap plugin for the most common content management systems. 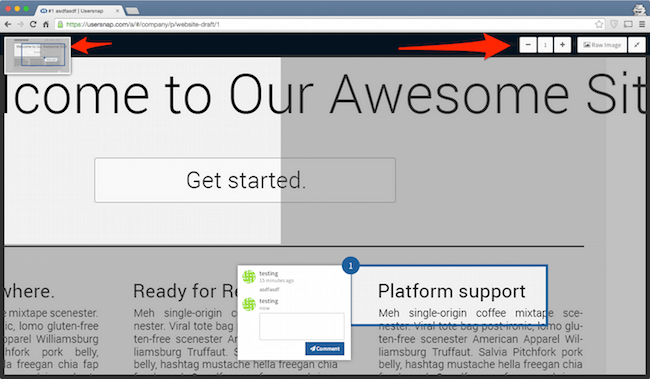 Besides the new top bar we also updated our sidebar with useful links. Depending on the page you’re currently at, we display customized information and tips about Usersnap and how to get even more productive with different tricks. Feel free to check them out and let us know if any information you need is missing. Today I’m also really proud to show you another feature which a lot of our users requested: The screenshot zooming & RAW mode. 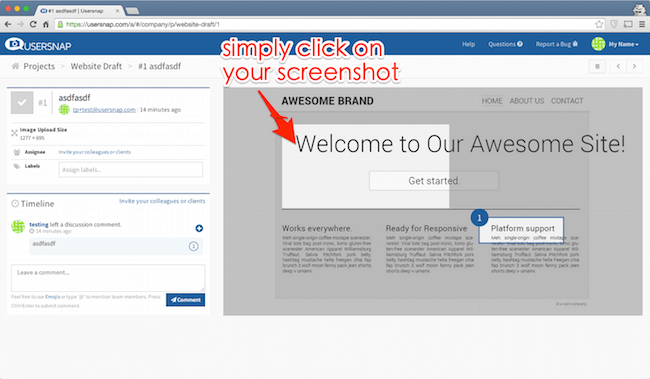 With our new zooming feature, you’re able to zoom in and out on every created browser screenshot or uploaded image (e.g. design draft or mockup). By using the Zooming feature or your mouse you can zoom in and out on any screen. With the thumbnail on the top left corner you still see the entire screenshot. If your bug reporters create a lot of annotations on the browser screenshot, it can become quite confusing what was meant and what’s behind these annotations. Within the screen viewer you are now able to show & hide the drawing layer! 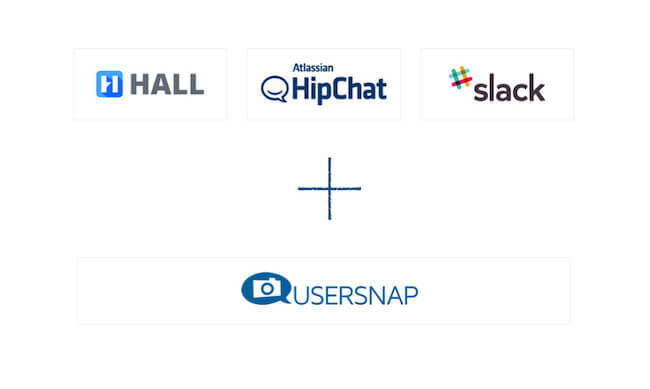 Besides our 20+ integrations with leading project management & issue tracking tools, we also added support for these awesome chat messengers – Hall, HipChat and Slack! 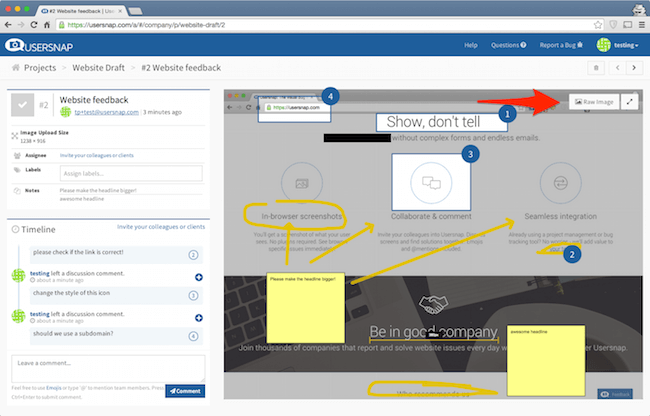 You are now able to integrate the Usersnap bug tracking- and feedback tool with your chat messenger. With our Usersnap integration for Hall, HipChat and Slack you’re now able to get notifications about new bug reports and created browser screenshots directly in your chat messenger. You don’t have to leave your chat messenger again. Having connected the bug tracker with your chat tool you’re able to react faster and improve your website testing process. If you are interesting in connecting your chat tool with the Usersnap bug tracker, please get in touch with us. Need even more productivity tips? Manage your time more efficiently and get more stuff done. Set up your next web project with requirements engineering. 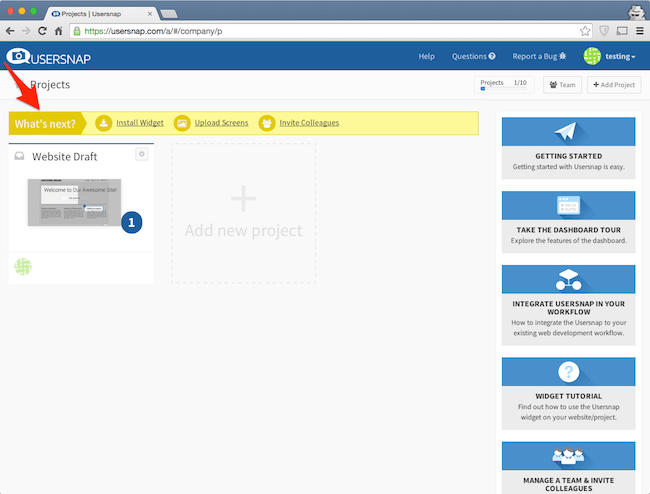 Get more out of your projects and integrate your project management tool with a bug tracker. Organize your team communication with one of these awesome chat tools and of course integrate them with your project software. You are missing something? Please get in touch with us or leave a comment. We love to hear your ideas!